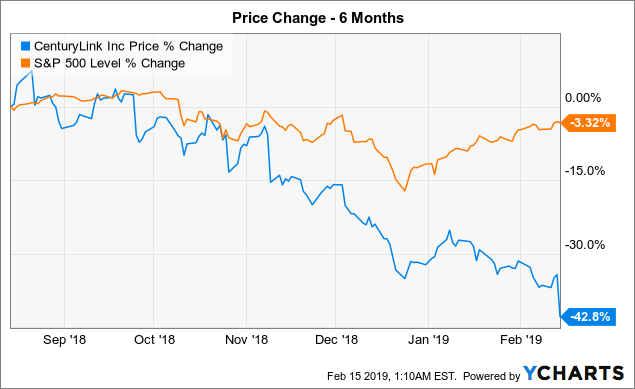 The big dividend cut by CenturyLink (CTL) came as a surprise to some shareholders, but my previous research indicated that investors remain focused on free cash flows and EBITDA margins. 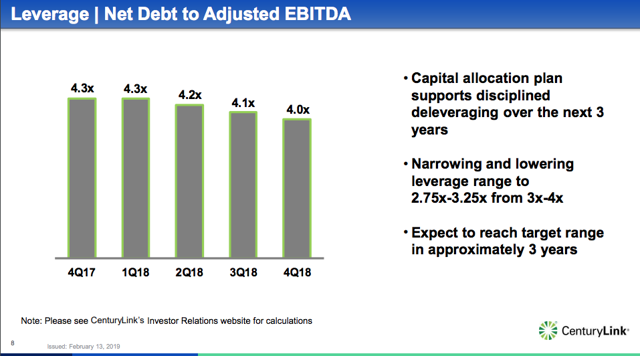 Whether or not the company uses the cash flows to pay dividends or reduce debt shouldn’t reflect on the stock as the value is in the ability to generate cash on a consistent and hopefully growing basis. Any stock weakness from cutting the dividend and maintaining cash flow targets provides a better entry point in the stock. Only last week, Citibank argued that CenturyLink would slash the dividend. Analyst Michael Rollins slapped a $11 price target on the stock making a bearish case around more capital spending and a focus on revenue growth issues. 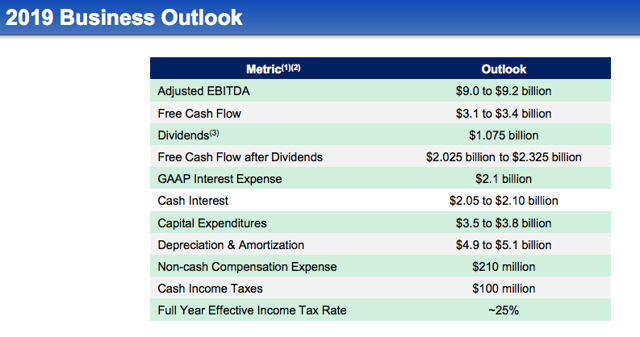 The negative analyst call was odd considering the telecom had beaten estimates since the new CEO took over to the point that the dividend wasn’t really at question. Regardless, it appears that some investors evidently knew that a cut was on the way or were just wanting to push the stock down so far that the company would cut the dividend. Along with the Q4’18 earnings report, the Board of Directors made the move to cut the dividend to $1.00, down from $2.16 per share. With the dividend up around 15% and so many analyst questions about the sustainability, a dividend cut wasn’t a huge bombshell. However as you saw, we announced today that we plan to reduce the annual dividend to $1 from the current $2.16 per share beginning with the next dividend declaration. This decision is not based upon any concern for the outlook of our business. Our business fundamentals are strong and we believe our free cash flow could sustain the dividend at the prior level through 2019 and beyond. As I said, this change in policy isn’t about a diminished view of our business; it is driven by our view that the long-term interest of shareholders are best served by proactively accelerating, de-levering to a new lower target range of 2.75 to 3.25 times net debt-to-adjusted EBITDA. Despite these facts, the stock is down over 40% in the last 6 months while the S&P 500 is only slightly down. By reallocating more of our capital to leverage reduction, we believe, we will improve our cost of capital, return a significant amount of cash to shareholders at a very sustainable payout ratio, and provide additional flexibility to respond to market opportunities and any potential interest rate challenges that may occur. This is not something we did lightly but it is something we firmly believe is in the best long-term interest of our shareholders. It sure sounds like the FED hiking interest rates in 2018 and the prospects of more hikes in the future caused CenturyLink to reconsider the acceptable leverage ratio. A big key to understanding the story here is to look at the FCF progression in 2018. 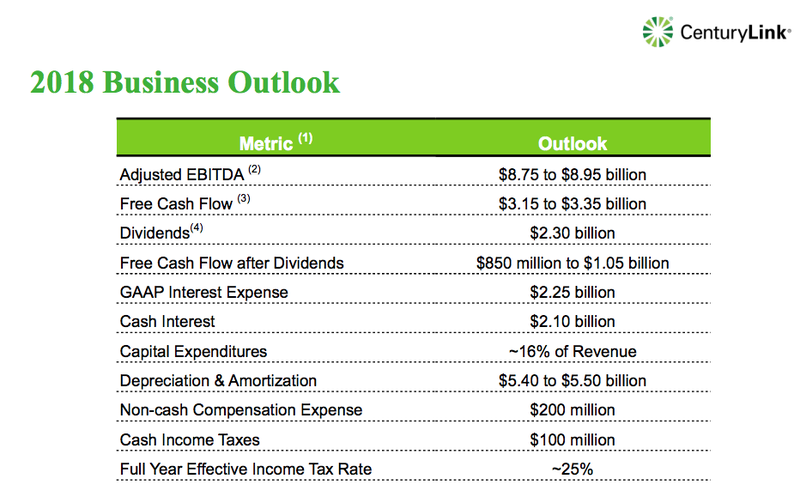 CenturyLink originally guided to FCFs of $3.15 to $3.35 billion for the year. Regardless, the guidance for 2019 has FCF at $3.10 to $3.40 billion. The most important detail is the capital expenditure guidance. A big key here is the capital expenditures of $3.50 to $3.80 billion or roughly 16% of revenues. The company has guided to a long-term target of ~16% of revenues, but CenturyLink didn’t hit those targets in 2018 with capex of only $3.175 billion. In essence, the 2019 plan includes an ~$500 million boost to capital expenditures in comparison to some of the under spending in 2018. 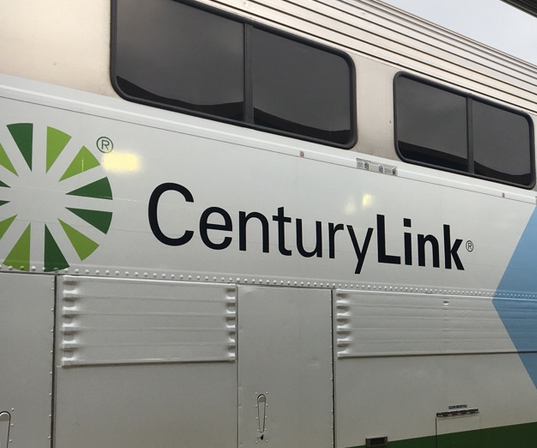 Clearly, the company could further boost cash flows by constraining capex, but the best idea is for CenturyLink to reestablish a higher level of capital spending. The end result is solid capex spending and a dividend payout of only $1.075 billion with a payout ratio in the 30% range on FCFs of $3.25 billion. In addition, the leverage ratio was already improved by $1.7 billion in debt repayments in 2018 due in part to the extra FCFs last year. The goal of reaching a leverage ratio of 2.75x in ~3 years is another positive sign for the stock. The key investor takeaway is that all of the numbers indicate the dividend cut was indeed due to a focus on reducing leverage and improving the capital structure. No indication exists that the cut was due to financial problems out into the future, therefore, the stock is appealing down below $13 with a dividend yield that still sits over 7.5%. Investors shouldn’t make the mistake of heading to the bomb shelter like with typical dividend cuts. Disclosure: I am/we are long CTL. I wrote this article myself, and it expresses my own opinions. I am not receiving compensation for it (other than from Seeking Alpha). I have no business relationship with any company whose stock is mentioned in this article.